Ask Theresa Nicassio PhD questions about health, psychology, life, food, parenting, wellness and whatever else you need advice on. The “Because You Asked” column and radio show segment was inspired by the plethora of questions friends and followers have been asking me since the YUM Project began. I can’t begin to tell you how moved I have been by the droves of email inquiries, social media messages, phone calls and in-person questions YUM and my speaking engagements have prompted! With such a demand, it will be terrific to be able to offer my reflections and information to an even broader audience. 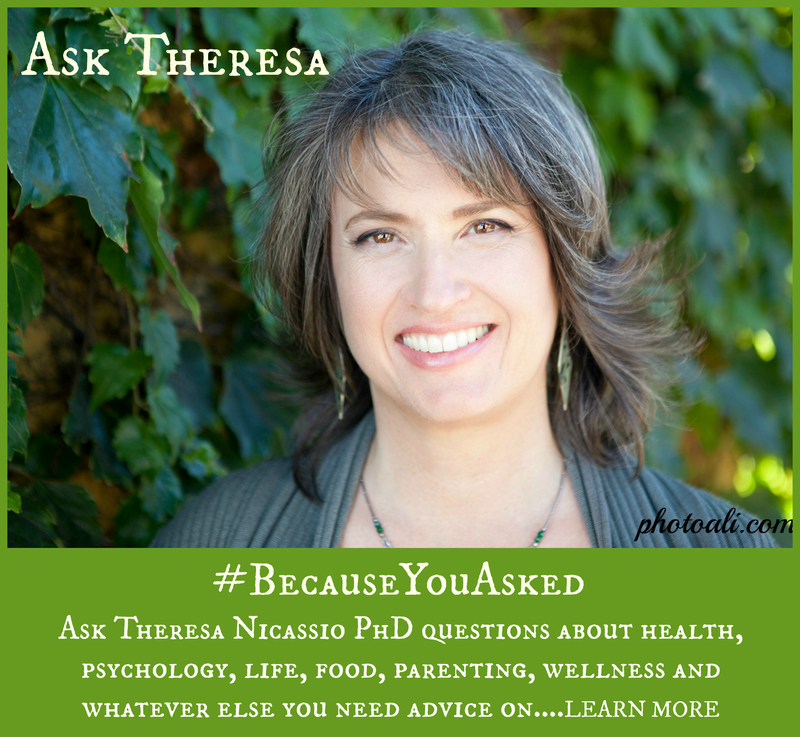 As a column for BLUSHVancouver Magazine“, #BecauseYouAsked” is like a “Dear Abby” for Wellness column. On my radio show, the “Because You Asked” segment might feel like a bit of a throwback of the Frasier TV show, with a more global holistic wellness twist. I will answer questions that have been sent in or respond to callers on the air during LIVE broadcasts. Anything wellness-related is fair game, whether readers have questions about topics like psychology, food, health, parenting, gardening, or living with special challenges. In my responses, I will be sharing my personal perspective and experiences, as well as information that I have learned as a wellness professional and chef. I will respond to questions on my radio show, magazine column, website, and other media. The information my responses will of course only be general in nature, and are not intended to be a replacement for the assessment and/or treatment by a qualified healthcare professional. Please consult with your own medical and other healthcare professionals for any assessment and treatment of your health and wellness needs. My responses and discussion are designed to open up new possibilities to consider and alternative ways of thinking, offering a place of hope and curiosity for dialogue about issues and questions that are important to you. to be inspired by every day heroes, life tips and to get YOUR questions answered on the air! Send in your question HERE.